Cupcake Digital – April Update -Wubbzy’s Dance Party, an App released only this past Tuesday (4/23), achieved the “#1 Paid App” ranking for iPad in Apple iTunes books in just three days. 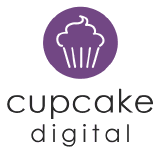 April has been a tremendous month for Cupcake Digital Inc. and I’m extremely excited to share our exciting progress you. April has not only been our strongest month for App production, but we continue to achieve top ranking positions for our releases on major distribution platforms. In fact, yesterday Wubbzy’s Dance Party, an App released only this past Tuesday (4/23), achieved the “#1 Paid App” ranking for iPad in Apple iTunes books in just three days. In this feature-rich, deluxe storybook app, Wubbzy’s Magic School! After a day at Moo Moo the Magician’s Castle, the friends learn that magic really does happen when you believe in yourself and try your hardest. This is a very special release since it is our offering to include both an English and Spanish version within the same App. Kids, parents, and caregivers now have the choice of language with which to listen to the narration or read the story themselves. This initiative not only increases the addressable market for our Apps, but also expands our marketing capabilities. We are currently working on adding a Spanish version to a series of English-only Apps in our existing library across all distribution channels. Wubbzy’s Dance Party, an App released only this past Tuesday (4/23), achieved the “#1 Paid App” ranking for iPad in Apple iTunes books in just three days. This is our first App for Animal Planet marking the first property expansion for our library beyond Wow, Wow, Wubbzy. We are extremely excited about both the sales generated and the reviews we have been getting. 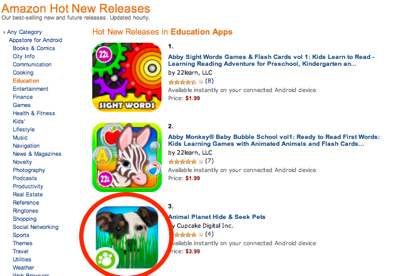 Premium priced at $3.99, this App has already already reached the “#3 position” within HOT New Education Section on Amazon. This marks the debut of our new coloring engine. It will not only allow us to create “stand alone” coloring and activity books for all our properties, but it will also be integrated into all of our new Apps. This release will expand our App library to three active licensed properties. As part of the preparations for its release, I have just returned from the 30th Anniversary Celebration for Jim Henson’s Fraggle Rock in Los Angeles. We have provided sneak peeks to several national media outlets. The feedback has been fantastic. The App launch in early May will be supported by a significant media campaign in collaboration with the Henson organization. We look forward to our first App release for American Greeting’s Strawberry Shortcake in June with great anticipation. Strawberry Shortcake is an iconic children’s property and we are proud to be their licensed partner. This will be the fourth active licensed property in our growing App library. Like all our properties, the launch of the Strawberry Shortcake App will be supported by a robust marketing campaign to increase sales rapidly. We continue to make great progress in our property acquisition initiatives. We are currently in the final stages of negotiation with several “A+” properties and will be making announcements about them shortly. In addition to increased sales, the positive accolades for our Apps continue to keep pouring in. 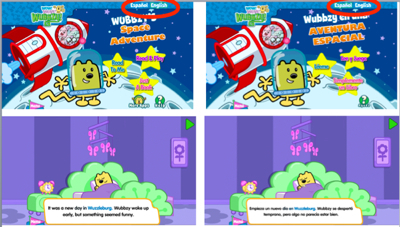 We have received a tremendous amount of press with the release of our first dual language App, Wubbzy’s Space Adventure/ Wubbzy en una Aventura Espacial, both in online and traditional press. We also continue to win awards from Famigo (a site that provides recommendations for kid-safe apps and content) and Appysmarts (a resource that helps parents choose the best apps for their kids). One of the key stones of our marketing strategy is building strong relationships with our distribution partners. 1. iTunes featuring Animal Planet Hide and Seek Pets and Wubbzy’s Dance Party in their New and Noteworthy section. 2. iTunes also selected Wubbzy’s Pirate Treasure as a feature in a special “Apps for Preschool & Kindergarten” selection. 3. Amazon also continue to feature Cupcake Digital Inc. Apps throughout their App store. Barnes & Noble is currently planning several “curated” mailings and site positions especially for us. We are delighted to have recently published a new white paper based on an interview with Dr. Natascha Crandall, PH.D. Dr. Crandall is a psychologist and educator with a special interest in enhancing children’s growth and development through the power of media. This paper explores Dr. Crandall’s findings on App use by children while also establishing a framework for the continuous improvement of our own Apps. As part of the white paper we also included parent and caregiver guidelines for using Apps as a supplement to children’s learning. Make Your Opinion Count: Download & Review a Cupcake App Today! Give it a test drive and make sure to write a review! Encourage your friends, family and loved ones to do the same. Help us create a bigger viral buzz about the quality of our products. Thank you for your on-going support! I will continue to update you on a regular basis. In the meantime, please feel free to contact me anytime with questions or comments.